Each month I will describe sights of interest in the night skies of South Carolina. These sights will be broken down into three sections; what you can see with the naked eye, with binoculars, and with a small telescope. 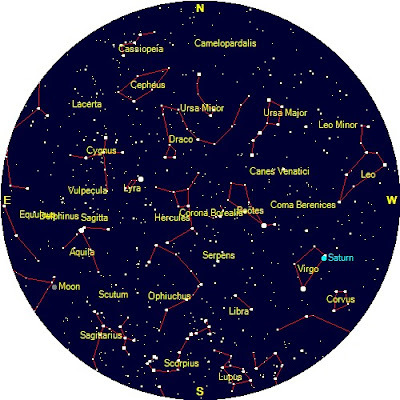 The best time to view the night sky is at and around the times when the Moon is not visible, what is known as a New Moon; which will occur this month on July 1st and July 30th. For July, your best viewing nights will be from July 1st through July 7th and July 23rd through July 31st. The Star chart below is set for Florence, SC on July 15th at 10 pm. As you may have noticed above, there are two new Moons this month. When there are two full Moons in a calendar month, the second full Moon is called a “Blue Moon.” There is no generally accepted name for a second new Moon. The reason is simple; we can’t see new Moons. Probably the only people that are following the dates of the new Moons are amateur astronomers. 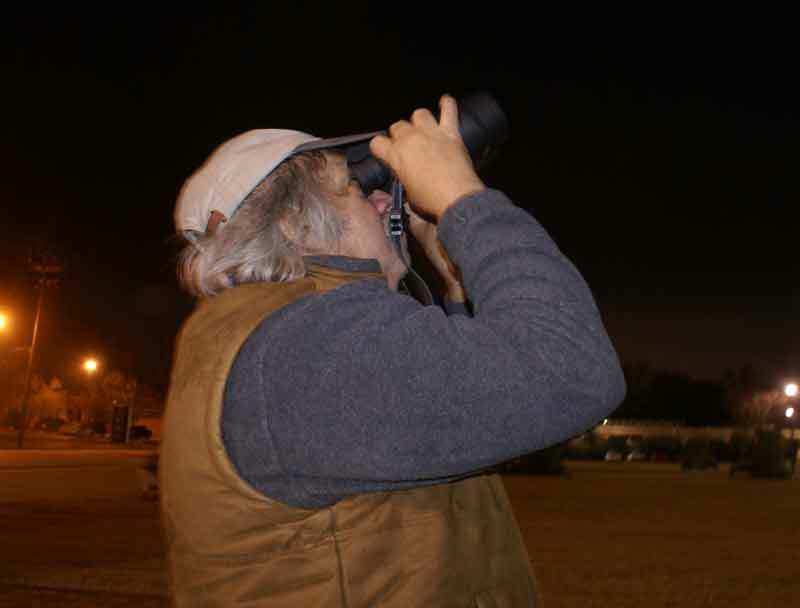 The dark of the new Moon is helpful when searching for distant galaxies, or for observing meteor showers. So enjoy the two new Moons, but don’t expect to hear about them on the nightly news reports. Planetary nebulas have the traditional ionized gas nebulosity, but they have nothing to do with planets! These fuzzy nebulas are often round, but they can also have other interesting shapes. They are called planetary because in the mid 1800’s when they were first observed through lesser quality telescopes, they looked like gaseous planets. 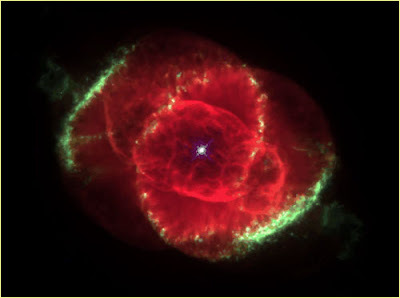 Later observations found them to be gaseous nebulas. 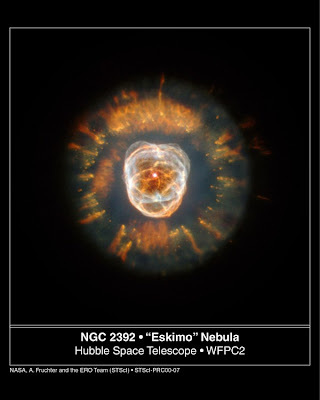 However, unlike other gaseous nebulas, they tend to have elements of symmetry. Even when they are not ball-shaped, they usually have a symmetrical shape. As telescopes became more advanced, astronomers noticed that many planetary nebulas had a small star at their center; a white dwarf. As astronomy advanced, the life cycles of many stars were observed and better understood. The mysterious planetary nebulas were determined to be the result of the death of certain stars. When one discusses star death, we tend to think of the spectacular exploding nova and supernova. However, there is a more common type of star death, which is also predicted to be the fate of our Sun. Stars like our Sun will eventually run out of hydrogen to fuse into helium, and when this happens (~5 billion years from now for the Sun) these stars will then collapse upon themselves until the helium begins to fuse, and then the star will blaze again. This second life will cause the star to greatly expand; and in the case of our star, the Sun will swallow our Earth. After the helium fusion shuts down, this type star will undergo a rapid collapse, and the rebound from this collapse will blow off a large cloud of gases resulting in the objects we call planetary nebulas, leaving behind a remnant white dwarf star, which will slowly fade away. Note the clearly visible central star in each nebula. In most planetary nebula visible to amateurs, the central star is too dim to be viewed. This month try to locate two well-known planetary nebulas that are within the reach of amateur scopes. First you must forget about the beautiful Hubble images with all their color; the best you can hope for is gray-white fuzzy images on a black sky. Your two targets are the Dumbbell Nebula in the constellation of Vulpecula, Messier 27, and the Ring Nebula in Lyra, Messier 57. Start with the easier target the Dumbbell. Away from the city lights, you can see M27 with 10 X 50 binoculars. It is also an excellent target for big binoculars (25 X 100mm). It is also easily accessible with a Dobsonian reflector, but start at your lowest power. 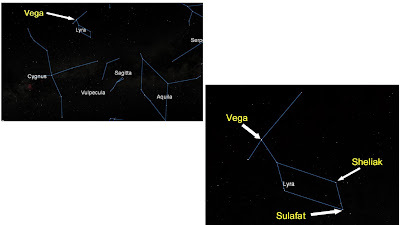 To locate M27, start by finding the Constellation Cygnus (The Northern Cross) in the southeast. In your mind, imagine a perfect trapezoid made with three stars in Cygnus, and an imaginary point, see below. Point your binoculars or scope at this imaginary point, and then move slightly to the right. Look carefully because it is only a faint smudge; it looks like a small cloud. Below is what you should see at about 30-40 power. It will look the same through your binoculars, but of course it will be smaller. The next target is the famous Ring Nebula in Lyra, M57. This planetary nebula is easier to pinpoint, but harder to see. 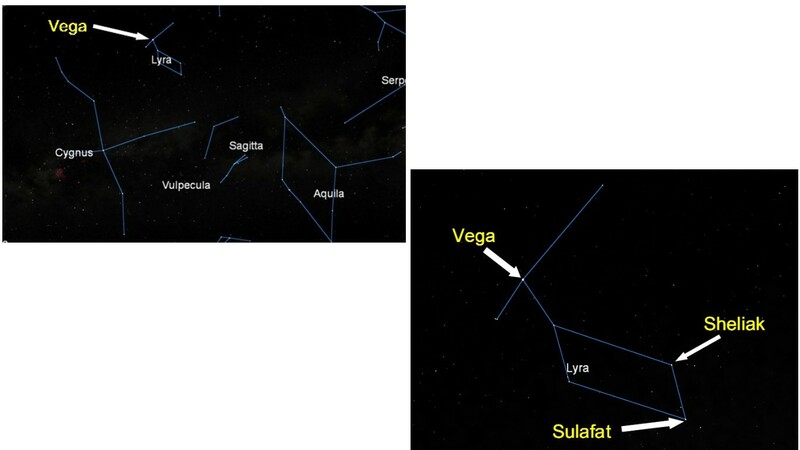 Start with the very bright star Vega and note the parallelogram shape in Lyra. 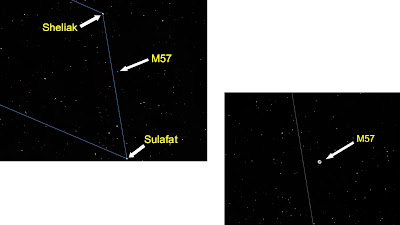 M57 is almost on the direct line between the stars Sheliak and Sulafat. With my 15 power binoculars, I can just see M57 as a slightly fuzzy star. With my 25 power binoculars, I can see that M27 is not a star, but a fuzzy object. 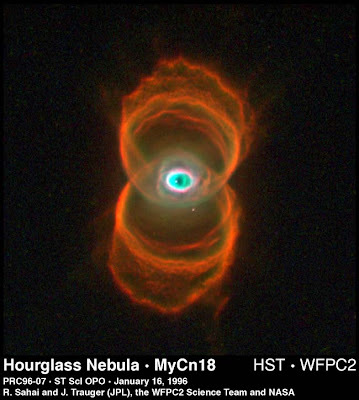 For most observers, the ring shape of this planetary nebula requires 40-60 power to resolve. 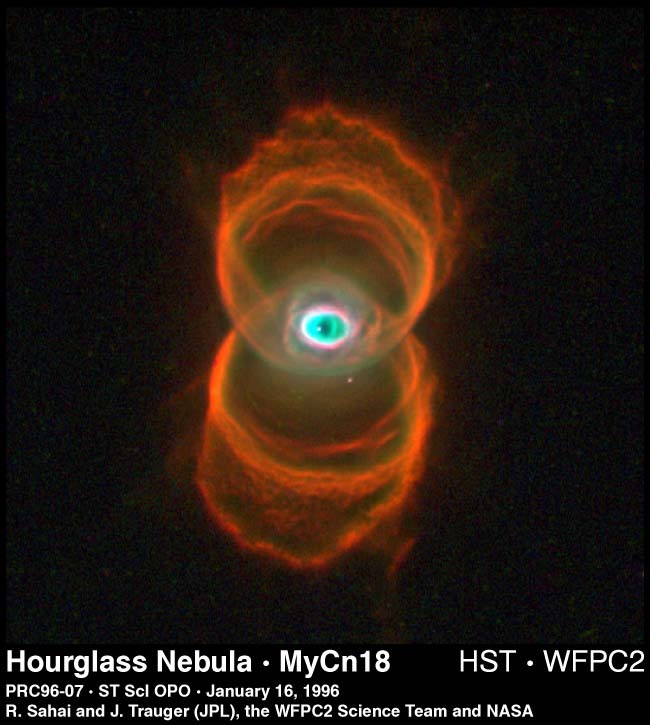 Remember, sometime in the distant future, some distant observer may look back this way and observe a planetary nebula resulting from the death of our Sun. Naked Eye Sights: The Summer Milky Way centered in the southern skies. 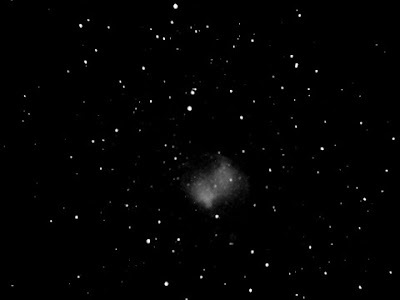 Binocular Sights (7 to 10 power): Try to locate M27, the Dumbbell Nebula near Cygnus the Swan. Wander through the summer Milky Way. Telescope Sights (60-100mm): Try to locate M27 and the Ring Nebula M57. Check out Saturn in the southwest late in the month; it will be at its best tilt angle for this year.